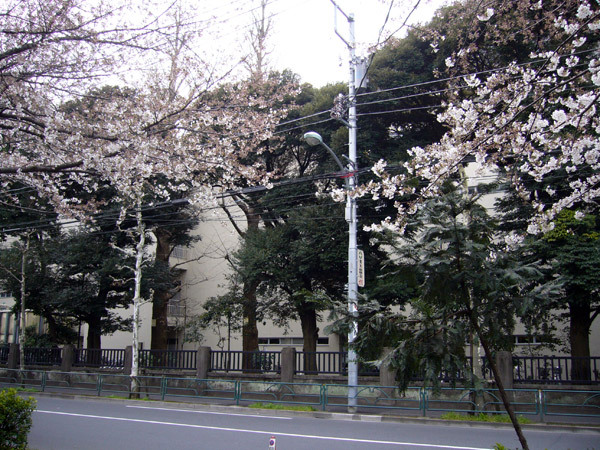 This is the school that Hikaru attended and Michi taught at. I think it’s safe to say that this is the main location used for the drama. There are too many scenes to list out here one by one. But one of the important scenes I must mention is Michi’s confession of her love to Hikaru in front of the students. It was filmed here in the main hall of this university. I visited the university in the spring of 2009. 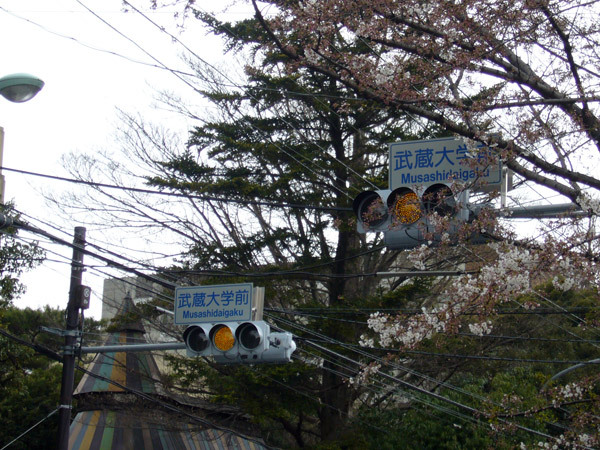 It had the same feel as in the drama as there were sakuras blooming on the outside of the gates. The first thing I noticed was that colourful cone shape thing at the entrance. That kinda confirmed to us that we were at the right place as it was evident in the drama whenever the students or teachers walked in or out of the school. We took a walk around the campus, but couldn’t find the main hall. 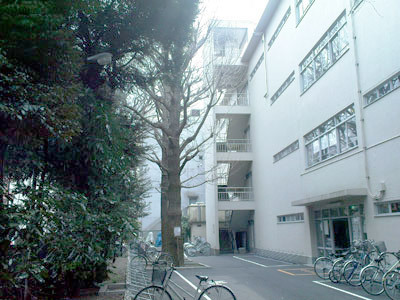 But we did find that ‘back alley’ place where Michi and Hikaru climbed over the fence to escape from classes.